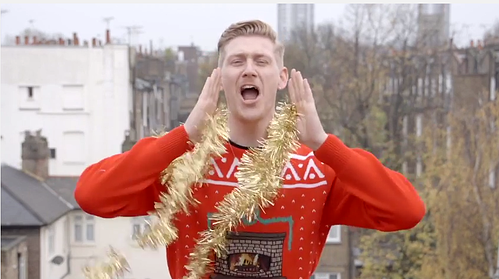 What happens when you combine five countries and a mashup of well-known Christmas tunes? It's a very Merry Reward Gateway Christmas! Staff from offices around the globe in London, Birmingham, Sydney, New York, Plovdiv and Skopje all contributed to our second annual Christmas video. We're particularly jealous of the Sydney crew... Having fun, guys? A Reward Gateway Christmas 2014! As you can see, having fun is important to our culture here at Reward Gateway. So important in fact, that it's a big part of 'Love your job', one of our eight core company values. We want to encourage our employees' creativity. It's part of the can-do attitude that drives us to push boundaries and stay inspired. That's why, when the Global Briefing team had the idea last year to create a lip-syncing video to 'Merry Christmas Everyone', our CEO Glenn was keen to get every global office involved. This year's edition is better finished and produced, thanks to having better camera equipment and an in-house video producer. And with even more offices this year, we're pleased to check another core company value off the list; 'Think Global'. Merry Christmas from everyone at Reward Gateway! You can check out last year's 'A Reward Gateway Christmas 2013' here: proof of just how far we've come!